Want to make the most out of your velocity model? Build, edit and view velocities with the data you have available. DUG Insights Velocity model from Well Checkshots process builds a structurally compliant 3D velocity model using time-depth information from your wells. Its fast and easy to use. The models are dynamic and calculated on-the-fly, so you can tweak checkshots and adjust the horizons to really fine-tune your results. Find out more about this process! With a few horizons and velocity maps, you can create a detailed, structurally compliant velocity model using just one process! Check out this video on how take DUG-Insight’s Volume Maths tool to the next level. Build 2D or 3D models layer-by-layer from time/depth or velocity horizons, and even incorporate V0-K functions! With so many approaches to creating velocity models, some will invariably perform better than others but how can you use the best parts of two models? Heres a safe way to combine two velocity models at a horizon or time, while maintaining the time-depth relationships from each. Dont settle for two reasonable models! Use this technique and DUG-Insights volume merge to create one great one! Got 2D velocities over here and a 3D model over there, but you need time-depth conversion everywhere? DUG-Insight can help you out! Using a simple merge to combine models can result in discontinuities where velocity models dont tie. In this video, we show how to use blending zones between surveys to get a smooth transition between two different velocity models. Another useful workflow in DUG-Insight! Need to create a basic velocity model for reconnaissance or to quickly test time/depth conversion? DUG-Insights volume maths is here to help! Adding layers to a velocity model helps improve the quality of time-to-depth conversion. Using DUG-Insights processes, we explore creating structurally compliant, layered models. We tackle creating layered models in 2D and 3D using a volume maths expression, and follow up with a layered model-based approach. This is a great introduction to creating your own advanced expressions in Insight. In exploration, its common to work in areas with only vintage or limited data, but time-depth conversion is still required for solid interpretation! Use DUG-Insights volume maths to build a V0+K model with as many layers as you need, and take advantage of Insights on-the-fly depth conversion in any project! Building on techniques from our earlier Creating Velocities videos, we demonstrate how to create a complex layered synthetic velocity model with varying gradients and smooth transitions between layers. The result is a detailed, spatially-varying velocity model that conforms to structure -- exactly what we need for DUG Insights on-the-fly time-to-depth conversion! 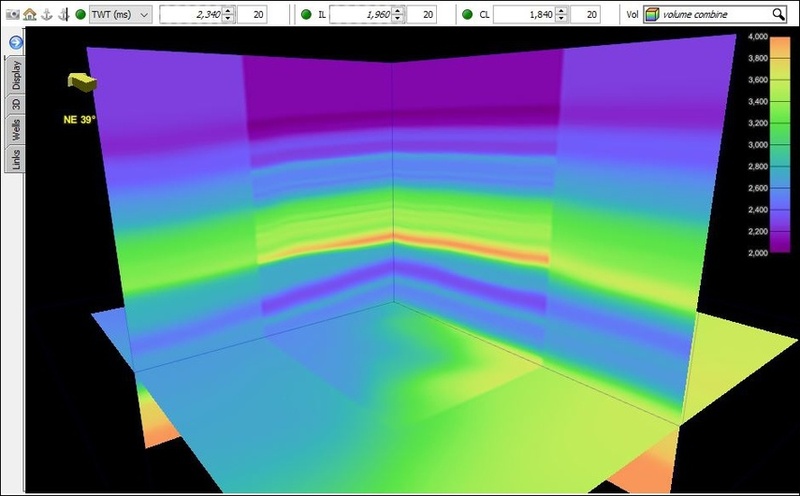 DUG-Insights Volumetrics tool quickly calculates in-situ reserves from a single- or dual horizon structure. View the results in an easy to read table or copy into a report. Building estimates of reserves has never been so speedy!